The health of a person is considered perfect when the energies are flowing through him/her without any blockages in the meridian points and chakras. The aim of acupuncture or acupressure has always been to unblock, balance and normalize the flow of these blocked energies. From the Ionosphere, magnetic energy waves, discovered by Professor Hartmann in America, impinge upon the Earth’s surface. These waves that take their name from him run completely round the earth in both north to south, and east to west directions forming a complete network or grid. Like a system of invisible walls nine to eighteen inches thick, two and a half meters apart From the Magnetic Core of the Earth, The Magma, a magnetic grid emerges at the surface, in directions diagonal to the north-south, east-west, and three and a half metres apart. Discovered by Manfred Curry, it takes its name as the the Curry Grid. Singlely, these systems present no problem. It is thought that they are used by birds, fish, and the great aquatic mammals, in navigating their migration journey from one end of the Earth to the other. In just the same way that magnets behave, lines or fields of “like polarity”, repel and create disturbed magnetic fields, so where one system crosses the other in Like Polarity, there is a disturbed area. Extensive studies in this field have established that sleeping over these crossed junctions can cause organic diseases, including cancer. When there were many instances of cancer in Germany, the German Central Committee of cancer research conducted a study and found that every person who had died of cancer had his or her bedroom exactly above a radiation point. The studies, conducted in other countries also, were published in ‘Earth Radiation’, published in Britain which indicated the same results. It is interesting to note that gypsies never get cancer! Why? Because they are nomads, who can instinctively locate an earth radiation. Exposing oneself to earth’s negative radiation for a long period of time leads to cancer. Just check out if you are staying in a radiation zone and are prone to problems due to that. Other circumstances when geopathic stresses occur are, when one or other system,( the grid lines) cross a geological feature such as a mineral deposit, an underground cavern, faults or folds in the surface Strata, but more frequently running streams of water underground (such streams create an electric current and consequently a magnetic field). Staying for any length of time in a “disturbed magnetic field”, (and most of us spend eight hours out of twenty four in bed, i.e. one third of one’s life), can lead to the problems of Geopathic Stress. Care should be taken that pregnant women do not sleep over such radiation zones, to ensure that the baby born does not have complications. It has also been proved that miscarriages are common within weeks of conception, if the woman sleeps over a radiation zone. If you are having problems moving into your new house, check when you moved in and find out when the problem started. If you have a cat, which loves to sleep on your bed, the indications are there is a radiation-zone underneath. On the same place your pet dog will not sleep. Also, if you find too many ants in your apartment or house, if bees come to start a hive you should suspect a radiation distortion. It has also been observed that the problems of the person afflicted with earth radiation will worsen on a full moon day, or when there is heavy rain. Geopathic stresses present below the bed and affecting the person sleeping on the bed, have been scientifically proved to cause 65% of general health problems, 85% of heart related problems and almost 100% of cancer related problems. This is why general medicines do not work 100%. A person goes in for a heart surgery and comes back and sleeps on the same bed (the origin of the problem). This could well lead to a relapse after a period of time. One may argue that this is caused by emotional stress, but the stress itself is also caused by the environmental stresses. Which illness may you risk by sleeping over strong zones of disturbance? Von Pohl, Kathe Bachler, Ole Hovmand, Rolf Gordon and other researchers and doctors have found illnesses that most often occur. These conditions must not be thought to be caused by harmful earth rays, but develop as a result of the breakdown of the body’s natural functioning and lowering of the immune system. Cancer, aids, arthritis, rheumatism, asthma, migraine, insomnia, many stomach, kidney, bladder, liver and gallbladder disorders, tuberculosis, multiple sclerosis, heart conditions, diabetes, sinus, uterus and adrenals conditions, opsteoarthritis, thrombosis, eyes, ears and teeth disorders, inflammations, varicose veins, leukemia, emotional and mental disorders. There is strong evidence that links earth rays with suicide, divorce, depression, stress. The same holds good for office premises. The chair that you sit on may have negative energy fields below it, affecting your performance. This is the reason why alternative healings like reiki and pranic healing have mixed success. You bring healing energies in the body for an hour or so and then continue living in the problematic environment which depletes your energies. A geopathic (geo-Earth, pathic-disease) survey determines if there are Earth energies (underground water lines, ley lines and ley-line power centers) under a home or office and if they are neutral or negative (polluted or potentially harmful). If negative water lines or ley lines are found, they are neutralized. EARTH ENERGY AND ENTITY CHECKLIST. Here’s a checklist to help you determine the possible presence of negative energies. Is there someone in your family who seems hyper, cranky or moody for no apparent reason? Is there a place in your home or office that just doesn’t feel right? Or that feels scary, or even evil? Are you moving into a new space that doesn’t feel right or that you want to make sure is totally clear? Do you know of a house for sale that has an odd feeling and won’t sell? Do you feel like energy is being drained from you? Do you ever feel someone or something is watching you–even though there is no one around? Are there ghosts in your home or place of work? Do you feel unproductive or lacking energy? Is there someone in your family with a disease or a history of illness? If the answer is yes to one or more of these questions, then negative environmental energies are contributing to the problem. Refusal to go to bed. Opposition against going to bed. Nightmares. Feelings of a “presence” in the bed. An aversion to certain spots in the bed. Waking up tired in the morning. Rapid heartbeat while still lying in bed. Naturally, one of these symptoms is sufficient to indicate a problem. However, there may be several of these symptoms appearing at one time. Black streams were discovered by Baron Von Pohi who wrote the book “Earth Currents”. In 1929 he dowsed the town of Vilsbiburg in Bavaria with highest per capita cancer death rate and discovered 100% correlation between the beds of the cancer victims and the path of the black streams passing through the town. In 1930 he repeated the procedure in Grafenau, which had the lowest cancer incidence in the province and again found 100% correlation. He developed the Geopathic Stress scale, which is used today and which ranges between 0-16. What are the benefits of a geopathic survey? Neutralize negative Earth energies that may be causing ill health and disease. Find out if uneasy feelings or negative emotions are being caused by Earth energies or entities. Attain peace, harmony and attract prosperity. Contribute to environmental and planetary healing. The science of geopathy is based on realistic energy effects, be it magnetic, radiation or sound waves. The concept of “negative” and “positive” energy being properly harnessed forms the basis of several ancient sciences on the well-being of man. Environment, mental and physical health of the human being are closely related. Once this factor gained recognition, efforts were made to create proper environment for the people. Geopathy recognises that electromagnetic radiation which are cosmic in origin surrounds the globe. The geopathic scientists were of the view that radiation distortions were a natural phenomenon which could make a site unsafe for building anything over it. These distortions would result in a distorted energy field in a structure if the structure was near or over the distorted point. Geopathists put forth the theory that this could result in unhappy homes, sickness and lack of prosperity and this was found to be practically true. While in no way do we claim that geomancy is a substitute for traditional or alternative medicines, one can safely assume that after the geomancy work is complete, your medicines will work faster and give permanent results. 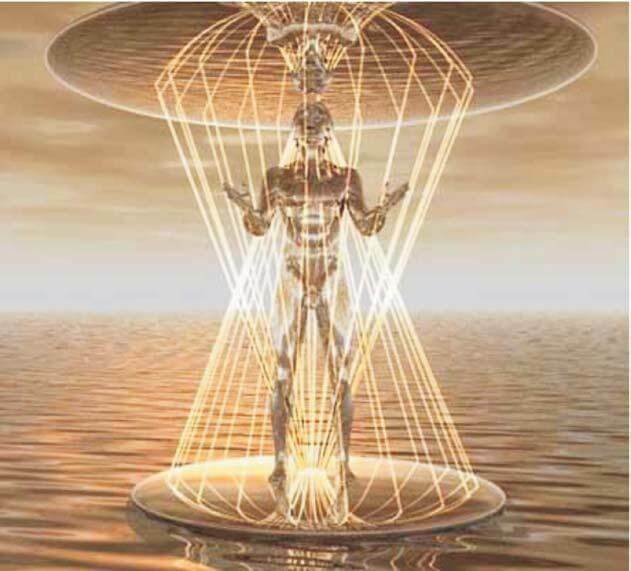 Our reality is a holographic grid program created by thought consciousness that repeats in cycles of creation called Sacred Geometry. The cycles make it appear as linear time in sequence and synchronicity. The grid is a matrix of sound, light and color – through which we experience time and emotion as it is an electromagnetic grid – based on polarity – or duality of experience. The Earth’s energy grid can be thought of as a web that holds or links the Earth together. The energy grid is affected by many influences – electricity, magnetism, light, color, heat, sound, matter, and beyond. The earth energy grid is the very essence and fabric of the universe. It is the energy that connects all. In the illustration the grid has boundaries but in reality it has no beginning, no ending. The grid is above, below and on all sides.